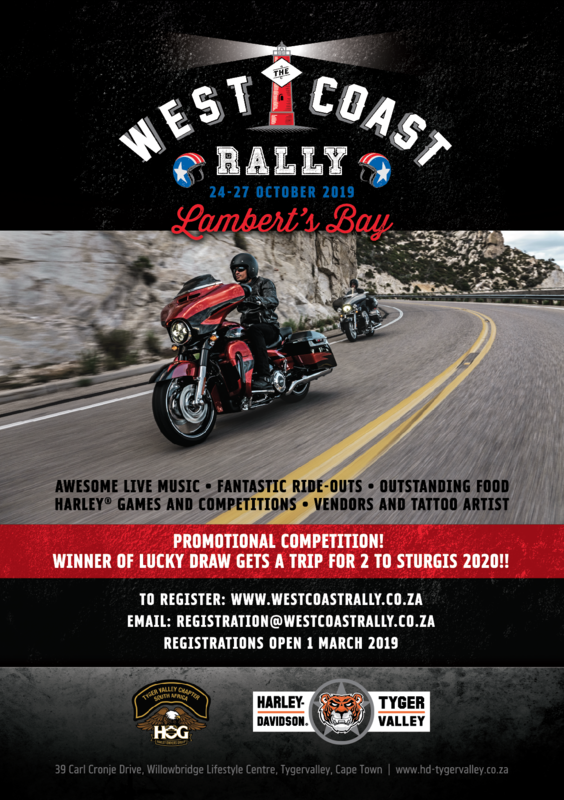 •	One FREE entry into the Sturgis lucky draw (promotional prize donated by Harley-Davidson® Tyger Valley). 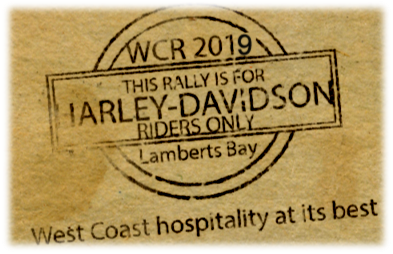 West Coast Rally - Copyright © 2019. Designed by Sugarbird Digital Marketing 0728441406 All Rights Reserved..